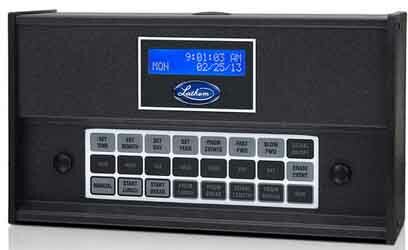 Controls multiple break times. Runs unlimited bells and horns. We can set it up for you before shipping, greatly simplifying your work. We understand them - We can help you! When you select this item for purchase, you will see a menu of suggested horns, buzzers, and bells. Call us if you have questions, as we have installed many of these machines in the Tampa Regional Area. Password Protected - employees cannot make changes to it. Interval Timer: Programmable BREAK START button, with a count-down timer. It runs for 10 or 15 minutes. Useful for when your break times are inconsistant. 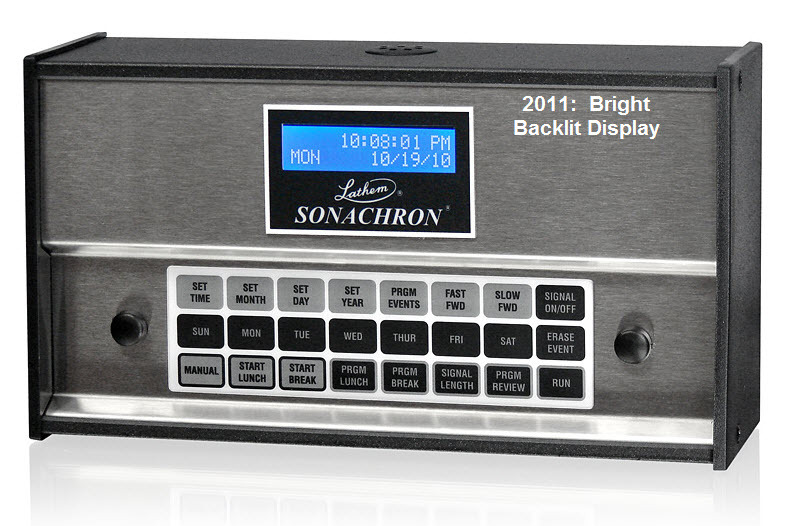 We can set it up for you - pre-wire and program - Select that option above. It explains what we can do for you.